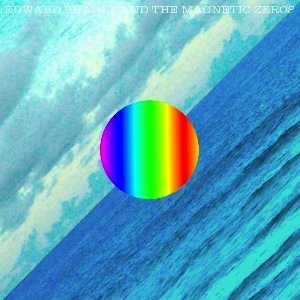 The latest release by Edward Shape & the Magnetic Zeros is melodic and perhaps even a bit symphonic. Fans of Ima Robot might wonder where their singer went. Luckily, Alex Ebert brings magic to this album — the type of magic you’d expect from any of his work. “Wishes” is a sweet, light song. Sounding a bit like an Air B-side or even Lamb, the track is lulling. Put this track on your sleep songs playlist. The song is simple, but somehow haunting in its beauty as well. As the track moves on, it even begins to feel like The Verve‘s “Bitter Sweet Symphony” in how grand and large everything feels. “I Don’t Want To Pray” sounds a little bit like a church hymn. The song is singsong and starts like any other Sunday mass, then moves into a more fun, vaudeville kind of feeling. You might expect this track to be in Oh Brother Where Art Thou. Another standout on the album is “That’s What’s Up,” a song title filled with numerous contractions. More of a religious feeling in the opening lyrics (“You be the church/I’ll be the steeple”), the song is a good feeling track. Sounding a little bit like an Osmond duo track about being a little country, a little rock ‘n roll, there is something endearing about this song. Don’t miss out on one of the most random collection of songs to come out this year. A little weird, a little religious, and a little symphonic — this album is so many elements put into one.